Want to have some fun with colours? But don’t know how to paint? Don’t worry, you don’t need to have any painting experience. Welcome to the world of fluid acrylic art by swirling away paints on a tray provided by us. This will be a guided session by Fluid Art specialist -Artist Kamalrukh who will cover 3 different pouring techniques including flip cup, ribbon technique and swirl technique. All materials will be provided alongwith F&B worth Rs.300. Learn the techniques –sip - munch and take your unique tray home. You can show off to your guests and serve in your own beautifully created tray. For offline registrations and queries please call- 9820697721. 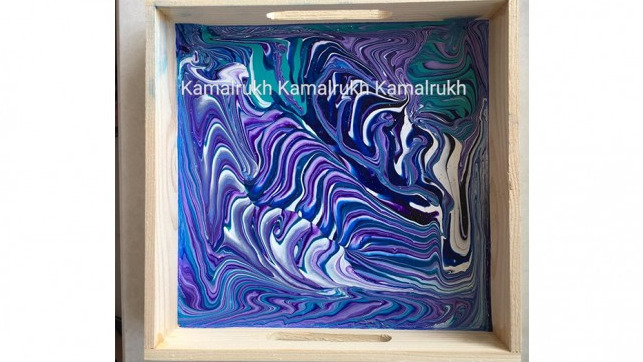 Share "Fluid Art on Tray –A workshop with Kamalrukh"